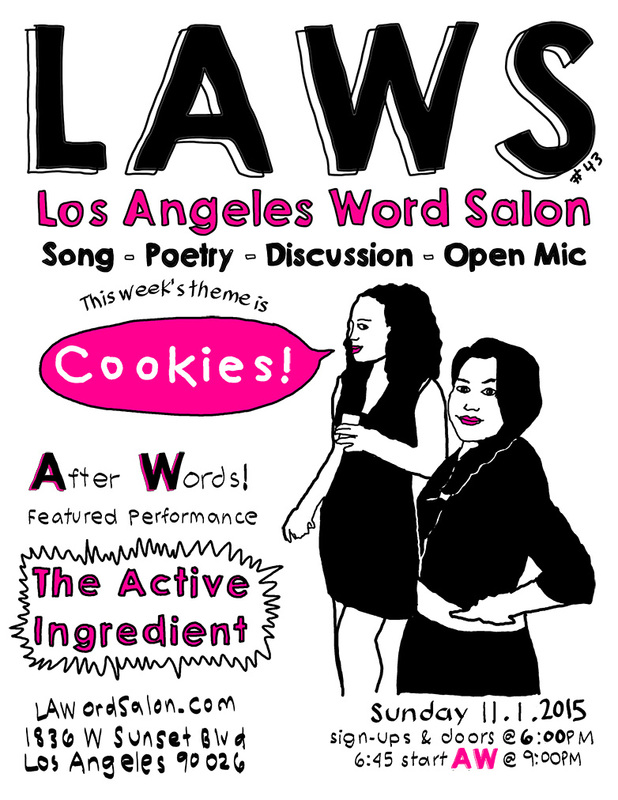 LAWS #43 Cookies with The Active Ingredient featured [A]fter[W]ords is this Sunday in #echopark! This week’s theme is Cookies! Join us for the 43rd LAWordSalon at 1836 Sunset Studios (formerly Rafa’s Lounge) in Echo Park. It’s an art gallery, music venue, bar! Cool!